Je ferai des crêpes pour le petit-déjeuner. I will make pancakes for breakfast. We will do our homework. Vous ferez du foot ou du basket cette année? Will you play football or basketball this year? Je ferai une tarte à la citrouille. I will make a pumpkin pie. In a sporting activity, why not use `jouer` instead of `faire`? Thank you Chris. Unfortunately the link that you sent me contradicts the tutorial. Jouer is used for football(in the link), but faire is used above. Thank you for the reasoning, which seems very nebulous! I`m certain a French person would know what I meant, but getting marked incorrect in a test spoils my day! Thanks J, this is very helpful. Was confused initially. Aurélie, so let me get this straight. For 'faire' to be correct in English as far as the quizzes go, I must use the word 'will' right? After lunch, the girls will do their homework, after lunch the girls are going to do their homework mean the same thing in English really. This just adds confusion!!! I am so frustrated with B1 and I have just began!! And the BOT takes too much time!! Well, even in English there's a slight difference between "are going to" and "will do their homework". In fact, the difference is very similar to the French future proche and future simple. The difference is that future proche is mostly used for things that the speaker considers not too far in the future. Futur simple is for more distant future actions. Chris, thank you for your reply but I am still confused. 'will do their home work and 'are going to do their home work, by your very answer means this action is going to be done right after lunch, like in the very near future right? It is simply a play on words and not necessarily an emphasis on the near or far off future. Fiona, this is a subtle nuance only which, in some sentences, does make a difference. For example: My stomach hurts, I'm going to throw up. You wouldn't use "...I'll throw up" in this context, even though it's grammatically correct. In many cases either is possible. But the distinction is more prevalent in French than it is in English. No retry on the quiz? The test saves my original answers, so when I do the quiz again (I did it two weeks ag), it doesn't matter if I correct myself from before, it saves the old answers. Is it supposed to be like that? Hi Arndís - no it's a bug. We're looking for a fix. For now, please add topics to your notebook and kwiz against that if you want to control which topics you kwiz against, or continue to do level kwizzes or your dashboard studylist recommendations. Sorry for the issue on this Arndís as gareth said it was a bug at our end, it should have and now does prevent you from taking the test if you have done it recently, this was a regression in a recent release, I'm sorry for the inconvenience. The new release will allow us to be more clever with this in future, so we can customise the test rather than repeat the same one, but for now it has been restored to the way it has worked until now. "Will do" and "going to do"
I am neither a native English nor French speaker, but quite fluent in English still. I don't understand the difference made in the quiz between "After lunch, the girls will do their homework" and "After lunch, the girls are going to do their homework" as these have exactly the same meaning in English, as far as I know. I think they both describe the same situation, but there is a difference in register - the first sentence is more formal. In the second sentence it sounds to me like the girls have decided to do their homework after lunch; in the first sentence it sounds like they've been told to, or they always do it then. Je vais te dire. -- I am going to tell you. Je te dirai. -- I'll tell you. In addition, it seems that there is also slight different in temporal proximity. La future proche (Je vais te dire) is slightly closer to the present than la future simple (Je te dirai). Thank you for your replies, I think I'm a step closer to understanding the difference. How do we write "she will get it done" or "she will get it signed (by someone)"? Do we necessarily use "futur proche" e.g. elle va le faire ? However "elle va le signer" is not the same meaning. "Elle le fera signer" - would this be correct? Bonjour Maloy ! 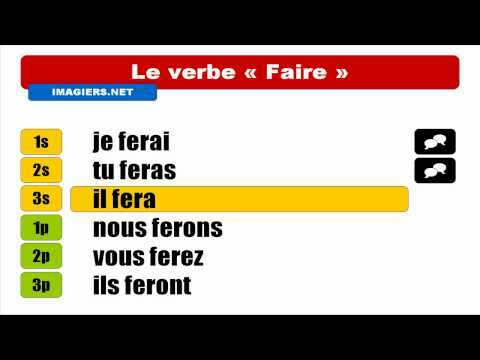 For constructions such as "to have/get *something* done [by someone else]", you will use "faire faire *quelque chose*" in French, as follows: "Elle le fera signer. / Elle va le faire signer." (She'll get it signed.) Here's a link to our related lesson: Faire + L'Infinitif = to have something done (causative) I hope that's helpful ! À bientôt !